So after much thinking (I am so indecisive), I decided on a local casual restaurant, CR Surf & Turf. 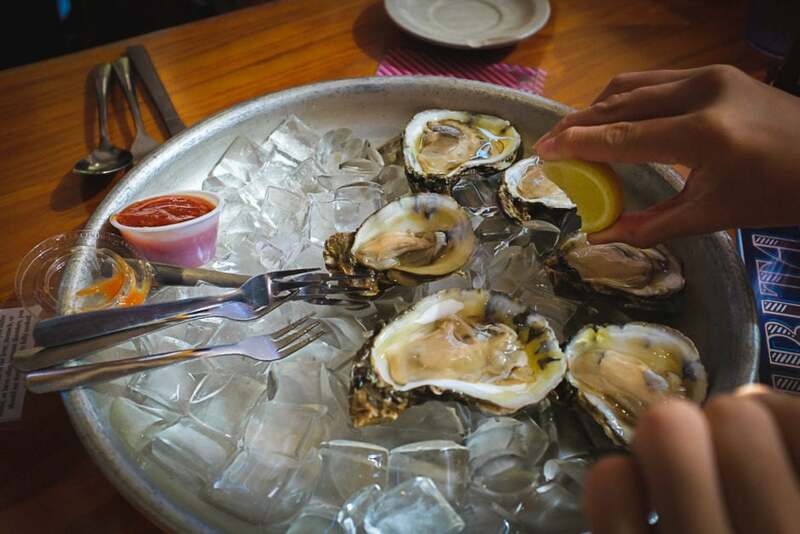 This place is neither fancy, nor expensive, but it’s popular and they have some delicious seafood. 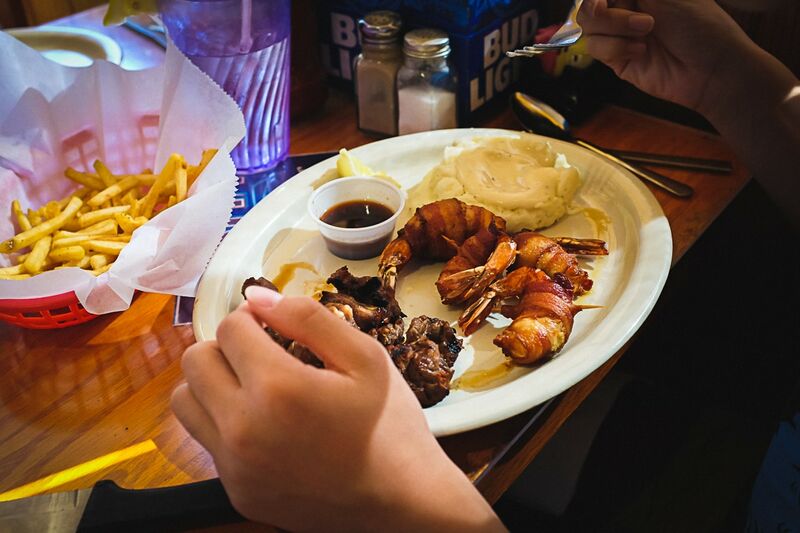 It’s a lot of Southern-style food, which means plenty of fried goodies, but what Koa and I like to get is the surf & turf: a meat choice and a seafood choice. 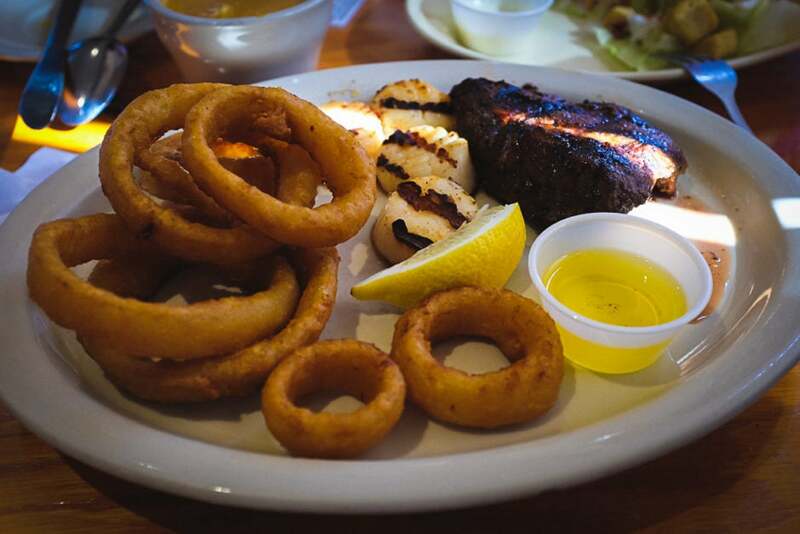 I opted for the flat-iron steak and grilled scallops, while Koa got the steak kabobs and bacon-wrapped shrimp. Meanwhile, Bay decided on the shrimp brochette. Mariko didn’t order anything but shared what we had. 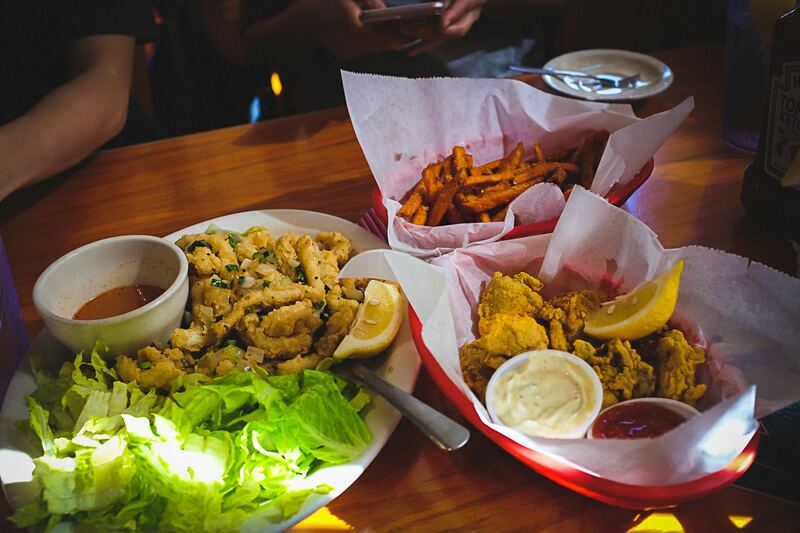 In addition to the entrees, we ordered a basket of fried oysters, six oysters on the half-shell, and jalapeño shrimp. It was all delicious, but so much fried food leaves you feeling a little uncomfortable later. I really like CR Surf & Turf and so do lots of other people. We arrived shortly after they opened at 4:30 pm and the place was already half filled up! The prices are reasonable, the food is good, and the service is solid. Plus it’s close to our house so it’s very convenient. 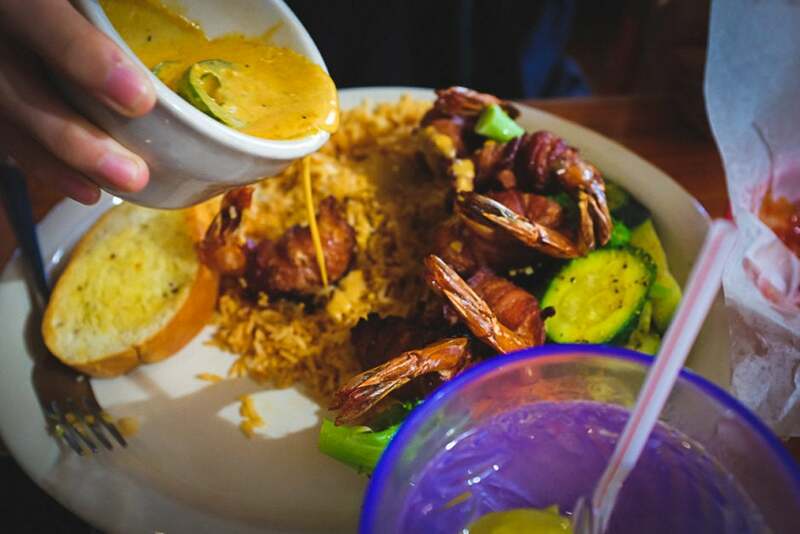 If you’re in the mood for some Southern-style seafood like crawfish, po-boys, oysters, and even frog legs, give CR Surf & Turf a try. Happy Fathers Day. Those shrimp and the scallops looked pretty good.